Harvest 2018 has slowly ended and we’re looking back at this marvelous time. It’s been a fantastic season with visitors flocking to the valley to experience the transformation of grapes into wine. 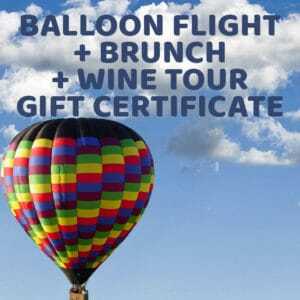 Many rode with us on Napa Valley balloons and participated in beautiful wine tours through Napa wineries and Sonoma wineries. Let’s talk about wine. This year wineries saw a cool late summer and a dry and warm fall. The growing season was pushed back and we saw very little rain. Visitors got their hands dirty with punch downs and hands-on winemaking. Our guests were high in the sky, enjoying a hot air balloon California adventure, aweing at the valley below. Napa Valley balloons during harvest allows folks to see the fall colored vines from high above. Workers from all over the world came to help with the work load of harvest. Students came to intern and learn about winemaking. We saw higher yields of grapes, in some region, 20% more. And unlike some previously hotter years, the fruit hung onto the vines into late October and even November. The crew at Balloons Above the Valley was working hard to make sure every local and visitor had a fantastic hot air balloon California experience. Our Napa Valley balloons are the largest, allowing us to keep our prices the lowest in the valley. We’re happy to make this experience accessible to as many people as possible and give everyone the chance to learn about hot air balloons. We’re happy to look back and reminisce on our adventures this harvest. From Napa Valley balloons, to champagne brunches at C. Casa, to wine tours of Napa and Sonoma, we had a blast! The season is now slowing down and it’s time to relax. The weather is getting colder and that means the holidays are near. Which also means gift giving season is here. Give the gift of a hot air balloon California adventure to those you love! If you visited us recently, then you know there’s no better experience than flying high among the clouds. Cheers to Harvest 2018, an incredible vintage, memories with friends and family, and we can’t wait for the next one!